Hibernia Reit CEO Kevin Nowlan has said it will be another three years at least before any new homes are delivered on his company’s massive land bank at Newlands Cross in west Dublin. Speaking to the Irish Independent following the publication yesterday of Hibernia Reit’s latest interim results, Mr Nowlan said there was now a “body of work” to be done to try to get the lands rezoned for residential development. With South Dublin County Council’s current development plan due to run for a further three years, he said any rezoning, should it take place, “probably won’t happen until 2022”. Hibernia Reit’s Newlands Cross portfolio extends to 143.7 acres and is composed of four adjoining parcels of land, which it acquired in individual transactions over the past four years. The company paid €10m for the 14.1 acre Gateway industrial/logistics site and €6m for 31.3 acres of adjacent agricultural land in 2014 and 2017 respectively. Earlier this week, it announced its €27m purchase of 92.5 acres of agricultural land from the IRFU, and the €1.7m acquisition of another 5.8 acres in the same area. While there is no guarantee that Hibernia Reit will succeed in its efforts to have the Newlands Cross lands rezoned for residential development, Mr Nowlan believes the site is well placed to play its part in addressing the housing crisis. Hibernia Reit’s latest results show that it recorded an EPRA Net Asset Value (NAV) per share of 166.3 cent, an increase of 4.5pc for the six-month period to end of September. Net rental income at the group came in at €26.6m, up 21.5pc on the prior year. The value of the group’s property portfolio increased 4pc to €1.3bn during the period. Profit before tax at was €64m, a decrease of €6.6m, down on the €70.6m reported for the same period in 2017. 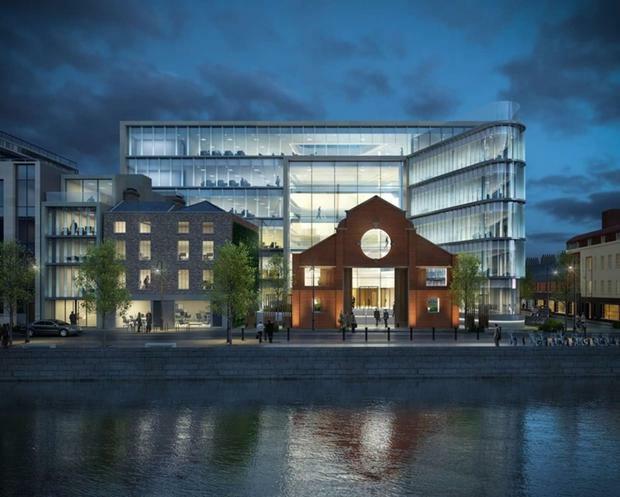 Separately, Hibernia Reit confirmed yesterday that it will lease all 112,000 sq ft of the office space at its 1 Sir John Rogerson’s Quay (1SJRQ) development to US tech giant Hubspot. The deal, the agreement of which was first reported by the Sunday Independent last September, will see Hubspot occupy the building from June 2019 on a 20-year lease.